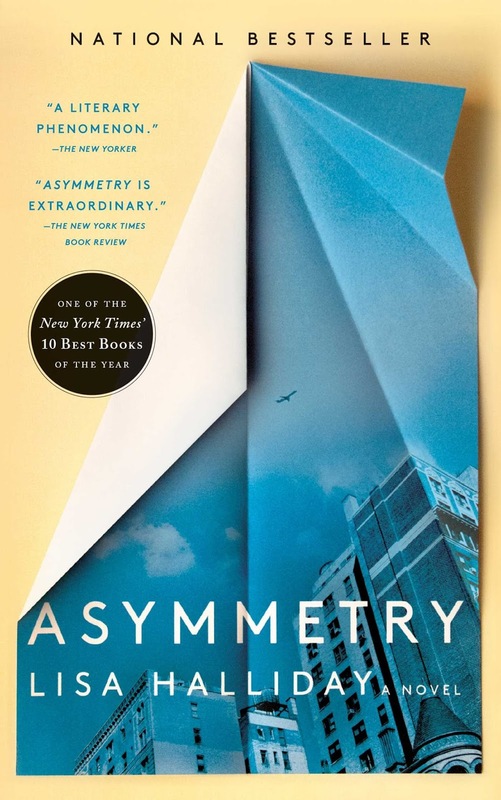 Told in three distinct and uniquely compelling sections, Asymmetry explores the imbalances that spark and sustain many of our most dramatic human relations: inequities in age, power, talent, wealth, fame, geography, and justice. The first section, Folly tells the story of Alice, a young American editor, and her relationship with the famous and much older writer Ezra Blazer. A tender and exquisite account of an unexpected romance that takes place in New York during the early years of the Iraq War, Folly also suggests an aspiring novelist’s coming-of-age. By contrast, Madness is narrated by Amar, an Iraqi-American man who, on his way to visit his brother in Kurdistan, is detained by immigration officers and spends the last weekend of 2008 in a holding room in Heathrow. These two seemingly disparate stories gain resonance as their perspectives interact and overlap, with yet new implications for their relationship revealed in an unexpected coda. You know how I always talk about how much more I feel like I get out of books when I've forgotten what they are about and don't read the synopsis before I start reading a book? Yeah, well, this time that backfired on me. I had no idea this was three distinct stories (sort of) and was so thrown when the second story started. I kept trying to figure out how the two would intersect. It took me a while to understand and just enjoy the second story on its own merits. And then Halliday gave me a third piece that ever so subtly explained it and I almost missed it because it was listening to the book while I was driving. The review of this book in The New Yorker called this book an "event," something bigger and more than other superbly written books in recent years have been. That review was written last year when the book was published. And this book did appear on several "best of" lists for 2018. And yet, I had never heard of it until I saw those lists. So maybe not the event that reviewer had anticipated; still, I found it to be a well written work, one that had me thinking on many levels and wondering, when I finished it, what I had missed. Was Ezra mean to Alice or was he just a man so set in his ways that he was doing the relationship the only way he could? Certainly Alice benefited from the relationship, but was that enough for her? Was Amar actually a threat the authorities were justified in holding? What was his brother being held for? So, maybe Asymmetry didn't become quite the event that reviewer had predicted. And maybe I didn't have nearly the reaction to it that I've had to several other well-renowned books of late (George Saunder's Lincoln In The Bardo, for example). Still, I'm very glad it showed up on those lists because I did enjoy it quite a lot. This is another book that I highly recommend "reading" by listening to it as the readers are quite good. It's a book that lends itself well to having multiple readers and there's not a weak one in the bunch. I've heard some good things about this one. But I am pretty sure this wouldn't resonate with me as much as others. I think this is a Tournament of Books book. I am not a fan of separate stories unless they are done extremely well.